Sensible solutions for noise and vibration. We have undertaken extensive development in noise and vibration control solutions for rail noise. This includes tunnel lining, noise barriers and methods of controlling noise and vibration at the source. 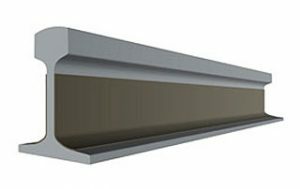 Quietstone Light is ideal for use trackside along train lines in tunnels, indoor stations and outdoor stations to reduce noise close to the source. This material is weatherproof, non combustible, durable and can be simply bonded to a substrate to give fast, effective results. Ded-Line is a vibration control material which is perfect for bonding to a rail track. This reduces noise by reducing the resonances which are generated by the contact between wheel and track. 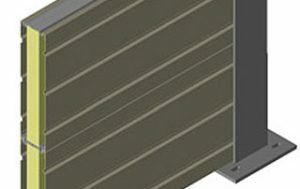 Previous rail damping materials can damage the track by reducing vibrations mainly in spots where the dampers are attached. This leads to rail corrugation by making the abrasion between wheel and track en even which in turn leads to a greater noise problem. This is no longer a concern as Ded-Line provided consistent vibration control along the length of the track. 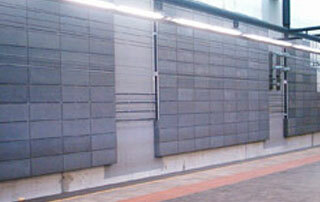 Noise barriers are an established method of controlling rail noise. We understand that different situations require different solutions. Quietstone was used In Epping to Chatswood rail tunnel, Perth, Australia, to reduce rolling noise generated by the contact of train wheels and the track, the engineers deemed that a porous absorber placed between the tracks would provide higher performance than lining the walls of the tunnel. The challenge was to find a long lasting, non combustible material with enough durability to withstand high impact from track workers, cleanability, and high sound absorption. The only product which answers all these requirements is Quietstone. We designed bespoke panels with feet running along the bottom. The benefits being that acoustic performance is increased by adding an air gap, and workers have a higher platform to work across. The client gave us the order after we surpassed their target acoustic performance. 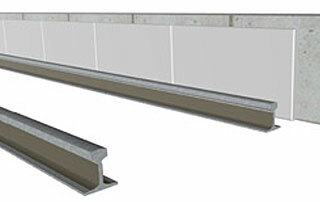 Quietstone Has also bee used in train stations to reduce reverberant noise. Where other absorbs fail in terms of durability, cleanability and fire safety (mineral fibre absorbers can harbour dust which creates a potential fire hazard), Quietstone provides the solution.